After a pure canyon trip, a link to the pictures come on your mail ! 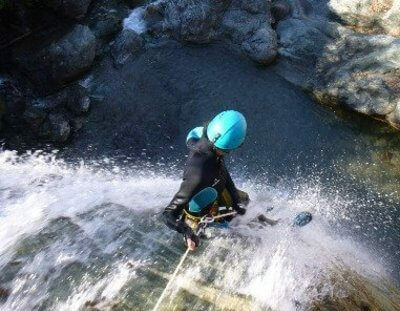 To customize the canyoning and adapt the trip to each one. Group size is limited to small groups. Famillies and group : 5 persons min. Practice a fun and aquatic sport in Briançon, we will meet jumps, slides, swimming, or rappelling along beautiful waterfalls. 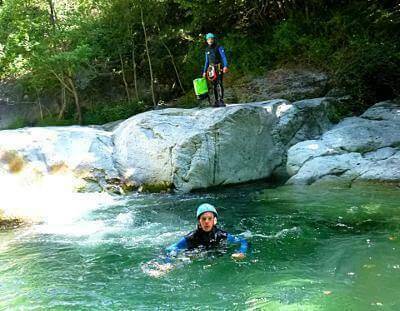 Based in the heart of the Hautes-Alpes, Immersion Canyon bring you from April to October into canyoning trips in Briançon, Serre-Chevalier, Montgenèvre. Completely playful or extremely sporty, it's up to you to choose your playground. We got some for all taste. Tame your fears, let yourself be guided, look for the most fun games. You will feel out of the world, lose the notion of time, being in total immersion in an extraordinary place. Quality equipement cleaned and cheked each time, EPI norms. Don't forget your smile !! Easy and funny canyons, suitable for everyone want to try and explore canyoning for first time with children. Ask for more ? Big canyons are available to those who have already experienced the sport. Immersion guaranteed ! 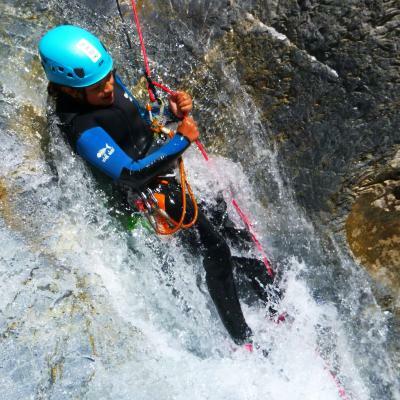 In canyoning, the levels are defined by different standarts rated from 1 to 7 : verticality, aquatic and engagement. A canyon rated v3 a3 II is an easy canyon, unlike a canyon rated v5 a4 IV which will involve other difficulties. Originally a rockclimber develop a strong passion for the mountains in general. I live in Briançon, city of the Hautes-Alpes, where we can enjoy a daily sunshine and a extraordinary and infinite playground ! Kayak instructor, graduate BPJEPS Canöe Kayak and associated disciplines + CS climbing in 2010 at the Argentière la Bessée (05). Mixing the verticality, the rope techniques and the white water I quickly became passionate about the Canyon. 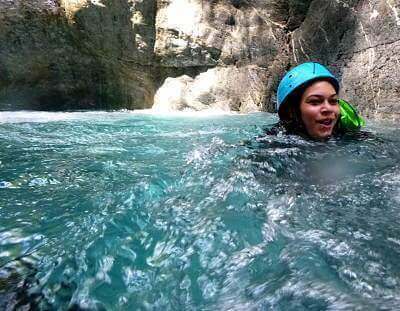 The spirit of adventure and the engagement make of each trip a new experience that encourage me to share with you the experience of canyoning in the Hautes-Alpes and elsewhere.